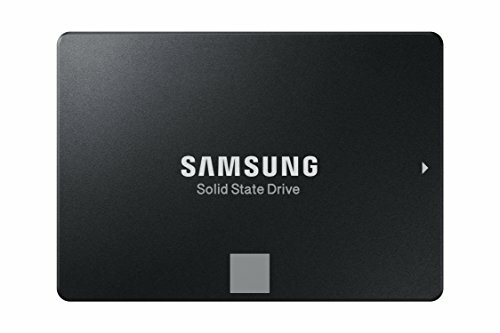 I have been getting the build itch for a number of years now, but I had a hard time justifying the expense since my PC is a secondary computer that I use for tasks that are accomplished less efficiently on my Mac. That's pretty much limited to 3D modeling & CAD work for 3D printing, some PCB design for home projects and of course gaming. A few months ago I got engaged in a pointless discussion with someone on Ars Technica about No Man's Sky, where I indicated that I purchased the game in anticipation of building a computer one day to run it. Well, that day has come, despite all the down-votes I got for my statement on Ars. I decided that the new build expense is easy to justify if the machine lasts over ten years like my old one did. The old machine is a C2Q with GTX560Ti, upgraded within last year from a C2D. In computing terms it's a fossil but it has been quite usable running Windows 10 Pro with 6GB RAM and 512 GB SSD. I selected the components with primary focus on performance, quality, reliability and durability. Cost was somewhat secondary, although I carefully picked my purchase timing for each component to explore mail-in rebates, offers and price fluctuations. This approach saved me on the order of 10-20% of total cost. In the process I was shocked to find out that it's virtually impossible to find any performance oriented components that are not loaded with flashing disco lights. Overall, I am extremely pleased with all the components that I picked. Everything has integrated very well, the machine is blindingly fast, rock stable and completely reliable. And, in the end, all without any (active) disco lights - doesn't the Noctua CPU cooler look so much better than the Wraith Prism? And yes, of course I do know that this is a very personal preference. Small issues that I encountered are all described in the individual component reviews. The biggest one was noise and vibration from the Wraith Prism cooler that I resolved by purchasing the superb AM4 Noctua cooler. The remaining issue is optimising fan control to work well with the Ryzen temperature sensors and the EVGA iCX video card. I am currently experimenting with two potential solutions: (i) installing an optional motherboard thermistor on the back of the video card with heavy tweaking of the Q-Fan curves; (ii) using the Argus Monitor software with optimised fan curves. I plan on updating this page once I select a solution. UPDATE (2018-10-15): I was able to obtain reasonable results with an optional motherboard thermistor installed on the back of the video card. I prefer the BIOS solution over a software based control since it's not dependent on the OS and will function even during an OS crash or hang. I used a new old-stock thermistor from an ancient 80mm Thermaltake case cooling fan that I fitted to a custom made harness. After some heavy tweaking of the Q-Fan settings in the bios the performance is excellent and the noise is almost bearable. ASUS really need to fix the step-up / step-down Q-Fan delay that appears to be broken (non-functional) in many of their motherboards. They also need to read the GPU temperature directly instead of needing an ugly and clunky external thermistor "hack"! I still need to finalise the thermistor mounting such that there is no risk of it separating from the video card back plate. CPU and GPU temperatures "under load" were obtained after 1 hour run of Prime95 (14 Small FFT threads) combined with Furmark. Cinebench results shown in the attached photo include two cases: one with Precision Boost Overdrive and one without. I am using the machine without Overdrive and selected it on only for the benchmark run. This is my first AMD build, even though I have a number of older AMD based workstations in my collection. I am delighted to be able to vote Intel out with my wallet. I am completely fed-up with Intel's complacency and greed, and have been for a while. The CPU is extremely fast and capable of annihilating all the tasks I have thrown at it, including gaming. The AMD PB2 and XFR2 work supremely well and eliminate any need or urges for overclocking. They provide a very smart dynamic auto-overclock based on the specific operating condition of the silicon. Now, on to the supplied cooler. Despite everyone's enthusiasm for the Wraith Prism, I am not a fan. First of all there are the disco lights: the rainbowy, spinny nauseating disco lights. At least one can disable them if one does not mind plugging in yet another cable. Then is the noise - this cooler is definitely whiny even in the default low speed mode, and much more so in the high speed mode. Combined with the fast thermal sensors of the Ryzen and the A.D.D. nature of the Asus Q-Fan control, the acoustics are just unbearable to my old ears. In addition, my original (boxed) sample had a strong fan vibration that would propagate through the whole case at full speed. The replacement that AMD sent had no vibration, but the heat pipes were crushed during forming process in all the bends, some to the depth of ~40% of the total pipe diameter. Totally unacceptable manufacturing quality on part of Cooler Master. On the positive side, the cooler performance is good and matches the thermal needs of the 2700X reasonably well. Anyhow, getting back to the foundation of this review, I am EXTREMELY pleased overall with the Ryzen 2700X and would very highly recommend it. Great design, superb build quality, excellent performance and no disco lights! I got this cooler after I threw in the towel on the AMD Wraith Prism cooler that came with my Ryzen 2700X because it was, by far, the noisiest component of the whole PC. I was initially leaning towards the Scythe Mugen 5 v2 but it has proven impossible to get in Canada for a reasonable price. The installation was a breeze and fit & compatibility is awesome with lots of clearance everywhere. My only minor gripe is that the fan retention clips on the supplied front fan came incorrectly installed from the factory. They were placed on the closest set of cooling fin hooks resulting in insufficient fan retention, while they need to be installed on the farther set of hooks. This is trivially simple to fix, but at this price I expect perfection from a premium product. Performance wise the CPU temperatures dropped by 5-10 degrees Celsius while the noise level is, subjectively, 1/4 to 1/3 of the Prism, even with a second NF-F12 installed on the suction side. In my installation, the "kink point" of the cooler is at just above 75% of the PWM fan speed. In other words, increasing fan speeds above approximately 77% yields no discernible reduction in CPU temperatures at full CPU & GPU loads. Well designed and built, great BIOS, super stable. Everything works at full speed - RAM, PCIe, NVMe. Layout is great. Colour scheme is reasonable even though the heat sinks seems to focus more on form than function. I am glad I can disable the nonsensical disco lights, which was one of the first things I changed in the BIOS. Asus Q-Fan needs fixing to behave well with the Ryzen CPUs that have super fast responding thermal sensors - as a minimum the temperature input needs an adjustable first order filter or better yet a PID-like controller similar to what's in NVIDIA BIOS. As-is, it takes more than significant amount of fine-tuning to avoid annoyingly audible frequent fan speed fluctuations because the step-up / step-down time settings in the BIOS do not work. I also wish Q-Fan would read the damn video card sensors - it is really silly to install an external thermistor on an iCX equipped video card that is loaded with thermal sensors. Works flawlessly at full advertised speed. It has no disco lights which is a HUGE bonus in this era of totally useless spinning, flashing, crawling, pulsating and breathing Blinkenlichten. Simply superb design, excellent use of space and great wire management. Very close to total case perfection. Why four stars then? My 10+ year old Antec Solo has heavier gauge, stiffer and stronger construction. The Antec also has slightly better build quality, fit and finish. Silent, beautifully designed and built, powerful and with super tight voltage regulation. Total PSU perfection. 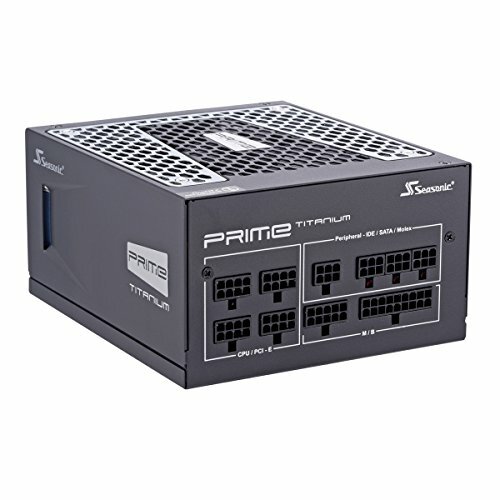 I wish the embossed Seasonic logo near the power switch was reversible so that it is not upside-down when the PSU is installed at the bottom of a tower case. I have a love-hate relationship with Windows. This is probably Microsoft's best attempt, notwithstading the privacy nonsense. I can tolerate it on a secondary machine (CAD, Office & gaming), but could not use it as a primary OS. Ultimately this was a free upgrade from Windows 7 Pro, so I cannot complain too much. Expensive, high quality, quiet but not silent and worth every penny! 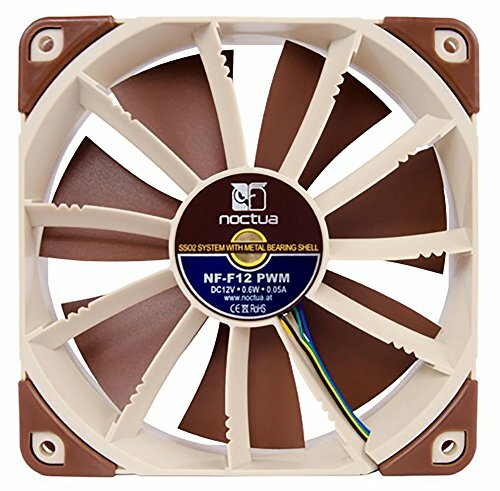 This sample was "MADE IN CHINA" with a slightly different shade of "peach" than the fan that came with the "MADE IN TAIWAN" Noctua NH-U12S SE-AM4. Expensive, high quality, quiet but not silent and worth every penny! I like everything about this build -- Ryzen, Noctua, Fractal -- everything! I look forward to the description. Perhaps you'll include a few benchmarks, and maybe comments about success with RAM overclocking if you try it? Thanks! What specific benchmarks were you interested in? I had no plans on overclocking the RAM since at 3200 it already is factory overclocked. Yeah, each part you selected is a high performer and the combination in this rig is logical and solid. And it looks good, too, to my eyes. 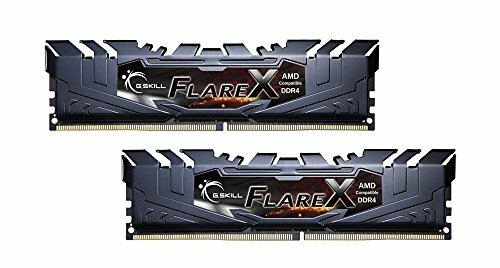 I'm mostly curious about Cinebench R15 multicore. It seems like a score of 1750 is typical OOTB for 2700X, but with PBO and XFR enabled along with tight RAM timings some builders are achieving 2000+ and stable operation. Gaining an extra 15% performance like that is good value, and it looks to me like your build is capable. But I recognize not everyone is interested in the time and effort to tweak and optimize. You have a strong build as it stands! I will run a few benchmarks this evening. I used to overclock back in the late 80s and early 90s, when I was "young and foolish". Now my primary focus is on a rock solid system. I wish noctua would change their color scheme. Amazing fans though. great build, may I ask what kinda temps you get on that noctua? I see about 30C on idle CPU and about 75C under full load, all cores pegged out and GPU pegged out, all for ~60 minutes. I had the temperatures listed on the left under the Details section. I also attached a new image that shows the fan speed fluctuation that includes CPU Tdie temps under idle/light load. Note that Ryzen has a number of different temperature references that you can use so this shows higher temperatures than 30C. The blue line shows what the fans are actually doing with the latest BIOS and the yellow line shows what they should be doing. Any OC on the CPU? Or does it manage to keep cool enough that xfr2 keeps it at 4.3/4.2 ghz? Thanks for the detailed comments, especially regarding the CPU cooler. I have the same case/CPU and I'm probably going to replace the Wraith Prism as well. 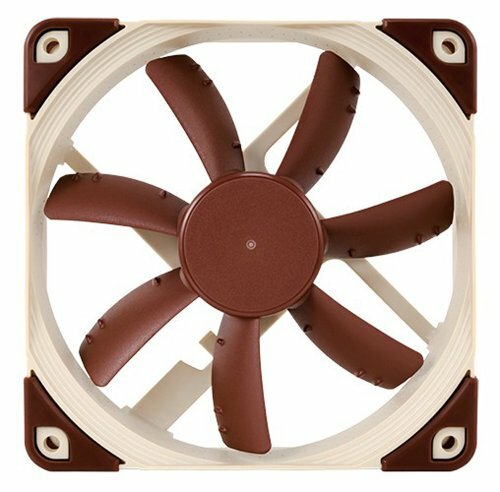 The Noctua - NH-U12S SE-AM4 is at the top of my list. 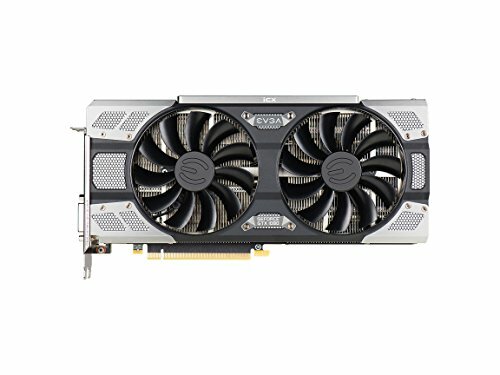 Did adding a second fan to the cooler make any difference in the cooling? Does the cooler come with a fan header splitter?